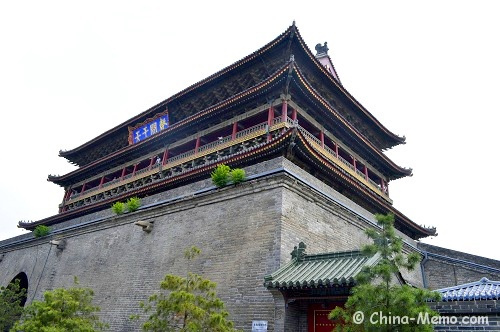 Xian Drum Tower is one of the famous attractions at the Ancient Capital Xian, a must visit place for a tourist. 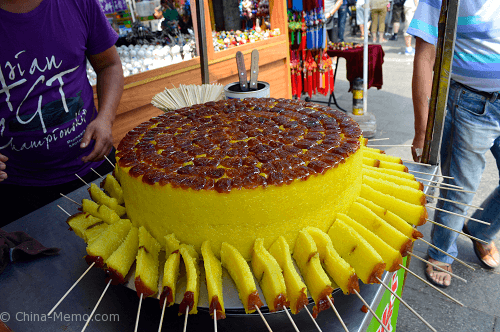 I visited Xian Drum Tower this summer, here are some photos and summary for the visit. 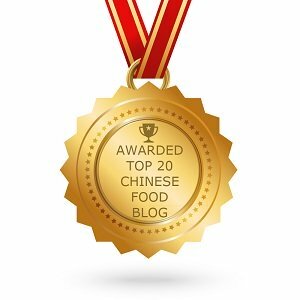 Scroll down to watch the video for Xian drum tower and drum performance. 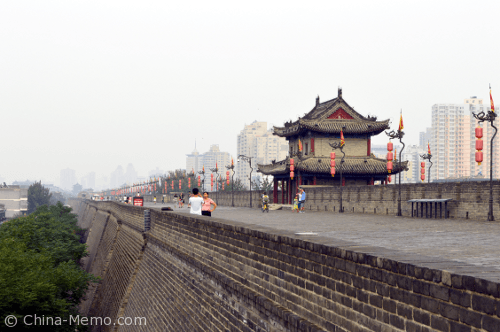 The Drum Tower is located at the city centre, actually within the Xian City Wall. 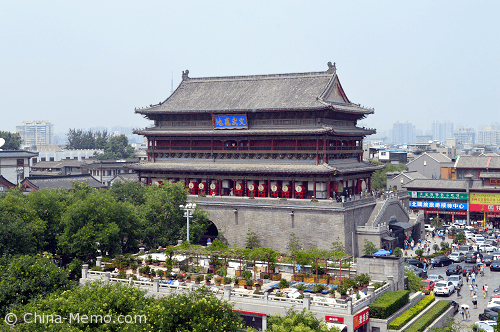 It is very easy to find, if you arrive Xian by flight, there is an airport shuttle can directly take you to Drum Tower (which is the final stop). 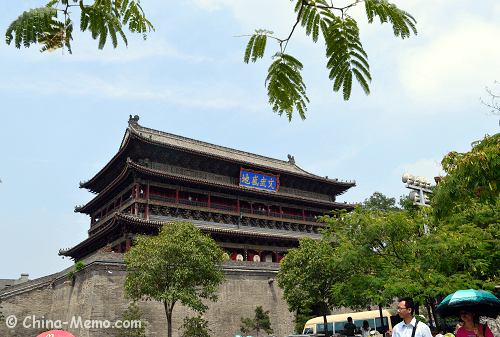 Once the shuttle arrives, you will see the Drum Tower is just at opposite side of the road. 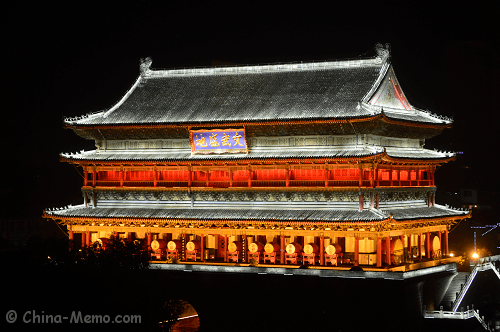 When you get close to the tower, you can see there are huge drums located at the first floor, with the red lamp hanging on the tower edge. 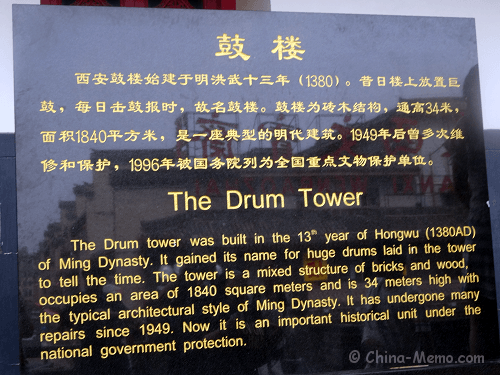 Before entering, here is some introduction for the history for drum tower. After paying attention, I noticed there were two types of drums. 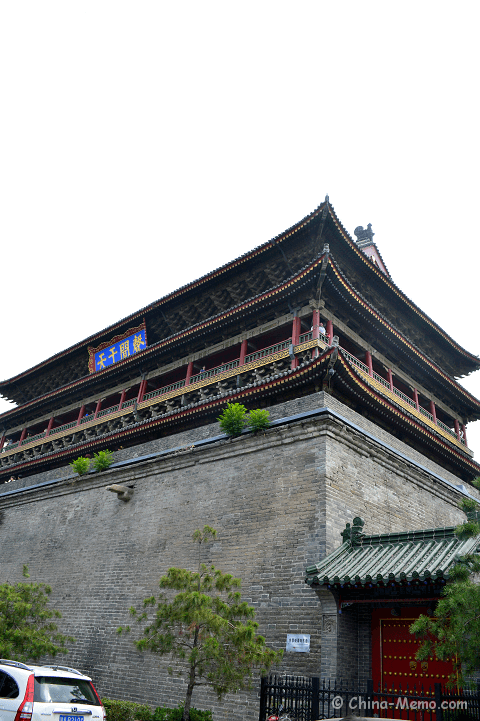 One type is medium-sized, total 24, line up along two sides of the tower, each side 12. 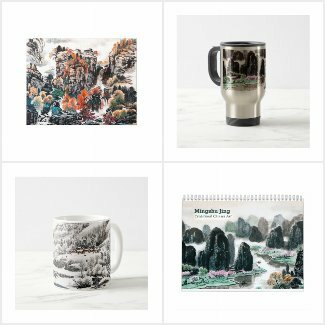 On the surface, it has the Chinese characters, which shows twenty four traditional Chinese "Jie Qi" (seasonal segments). 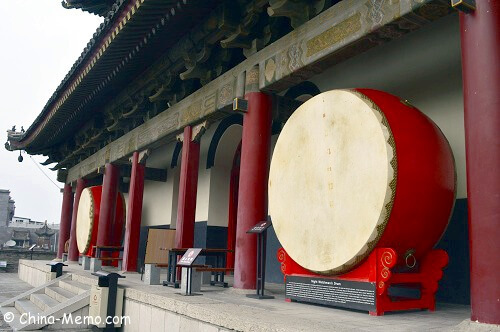 Another type of drum has a much bigger size, about one man tall. 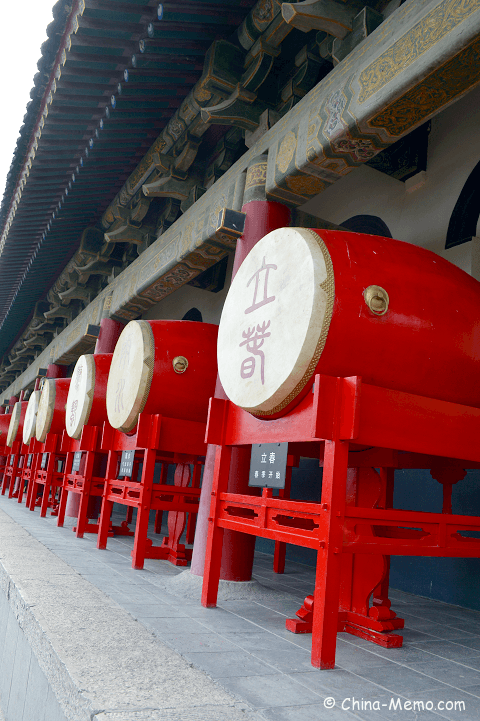 The introduction under the drum says that it is called the Night Watchman’s Drum. 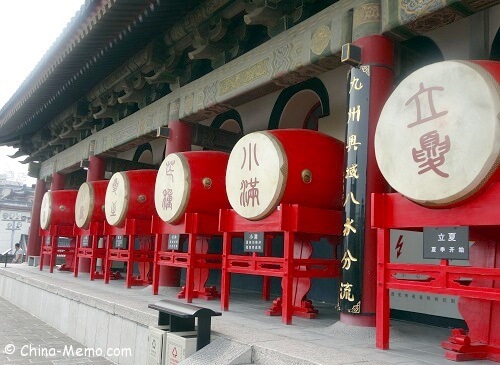 This is kind of drum that the night watchman to beat for reminding people of the five two-hour periods into which the night was formerly divided. 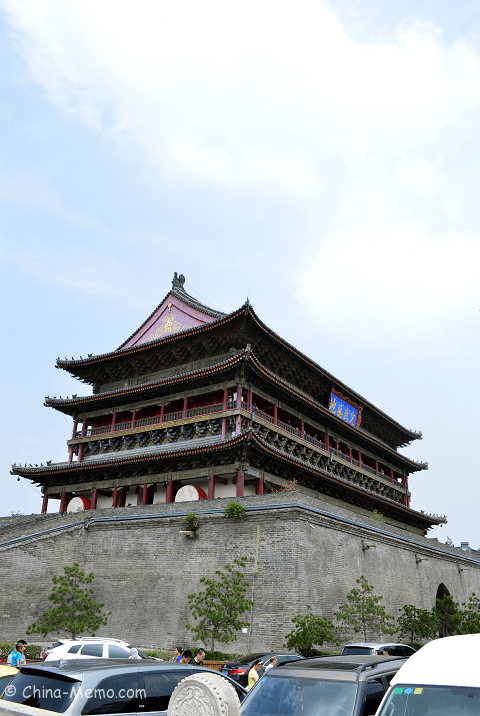 According to the ancient tradition, the drum should be stuck three times per night, first one was around 19-21 o’clock, which was a signal to close the city gate. The second one was around 22 to 24 at midnight, which was used to warn the citizen for the safety. 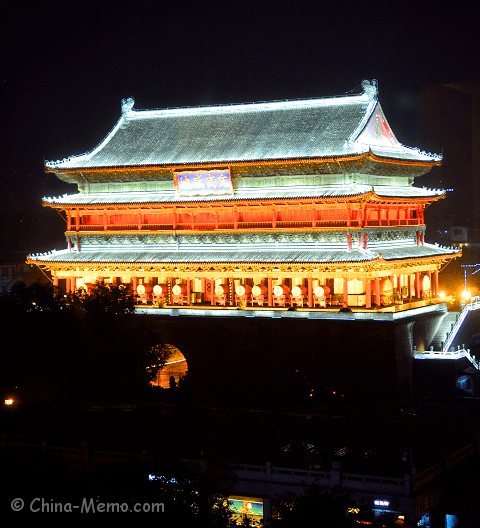 The last one was around 5-7 o’clock, the city gate and palace doors would be opened in turn at that time. 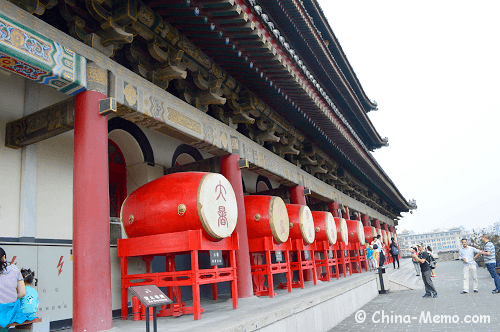 As a counterpart of the drum, a bell was struck during the daytime, thus comes the saying “morning bell and dusk drum”. 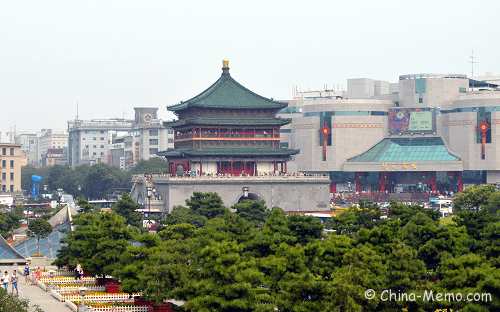 You can see the Bell Tower clearly from the Drum Tower. 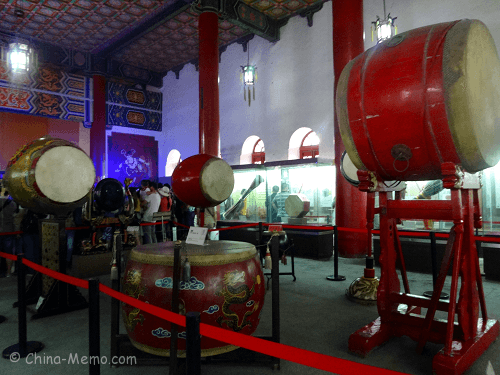 Inside Xian Drum Tower, there is a small drum museum. 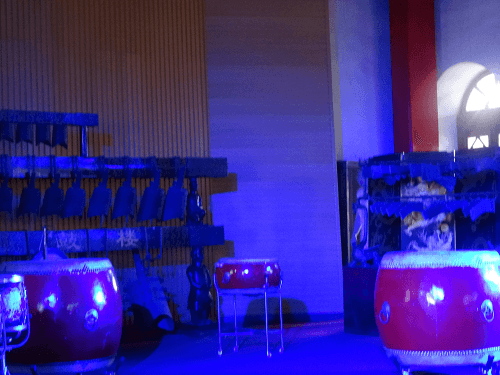 It also has a small stage, which presents a drum performance several times per day. I was lucky to be there around 4pm and got the chance to watch the drum show. The show lasted about 15-20 minutes. 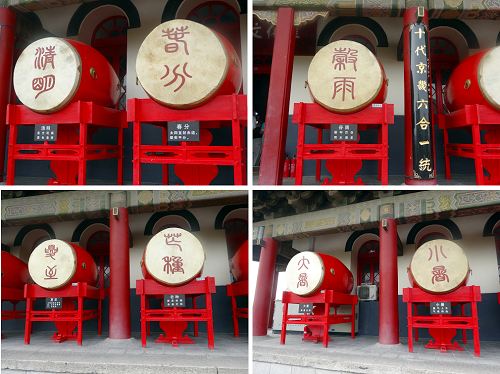 I have edited a video, including some Xian drum tower photos and drum performance. You can watch it by scrolling down to the end of this post or watch it in my Youtube channel. 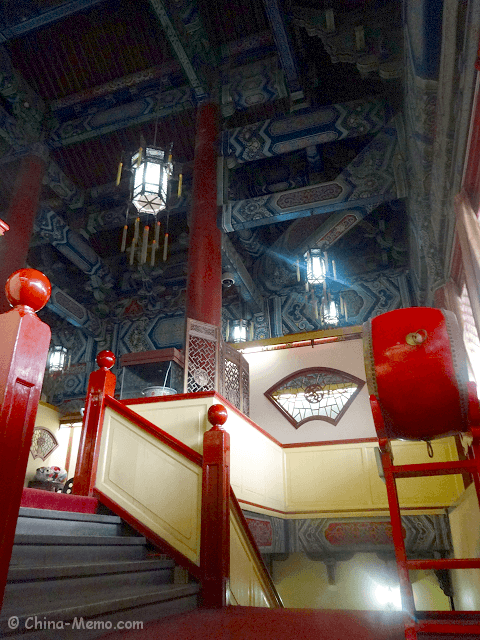 Following the stairs, you can also go to the top level of tower. 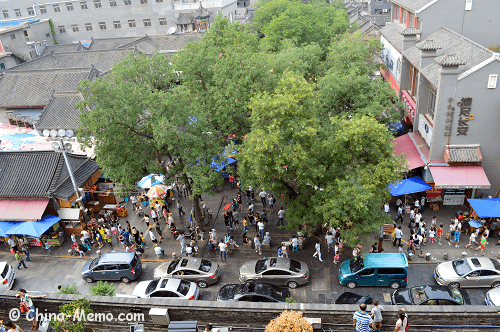 Looking down, you can see the Xian Muslim Street, famous local food street. 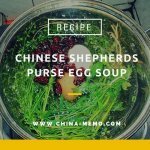 You can find more about Xian Muslim street food here. 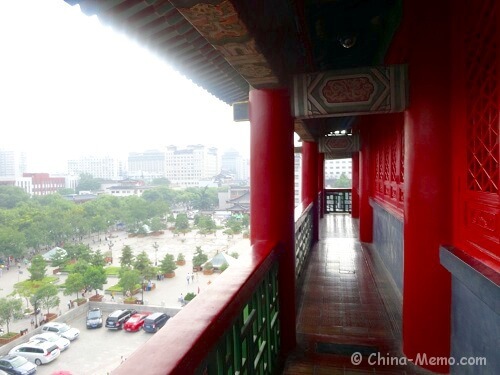 At the top level, you can have a panoramic view of the city. 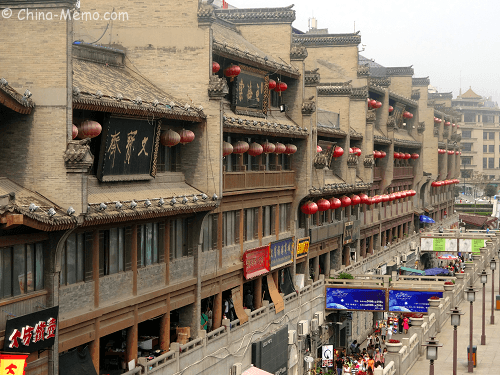 The shops at nearby street, which appear to be very traditional. 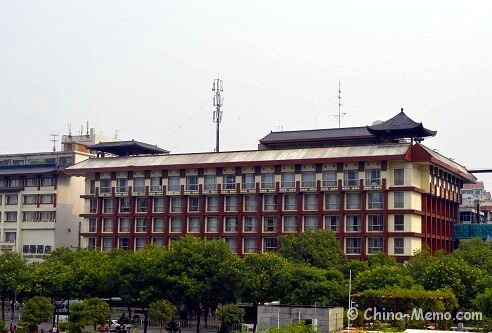 This is the hotel I stayed, just opposite the Drum Tower. If you just walk through the tower, half hour should be enough. 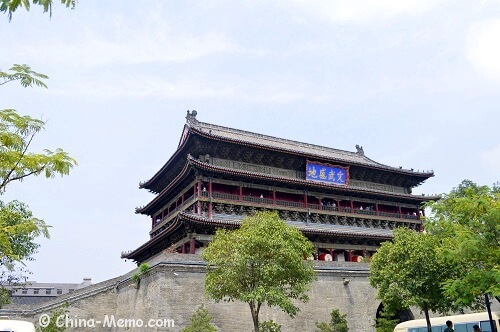 The ticket is 35RMB, but if you buy a set ticket for both drum tower and bell tower, it is 50RMB. (This was the price at 2014 summer. ).